Centre for Innovation and Technology (CITE) director, Zenzele Ndebele was on Thursday arrested at Bulawayo State House where President Emerson Mnagagwa was meeting Civic Society Organisations to discuss the Gukurahundi issue. While CITE earlier indicated that police had not furnished them with the charge under which Zenzele was arrested, a report from MISA-Zimbabwe indicated he was arrested for being in possession of a used teargas canister. Alex Magaisa, a law lecturer based in the United Kingdom described Zenzele’s arrest as ironic and embarrassing. 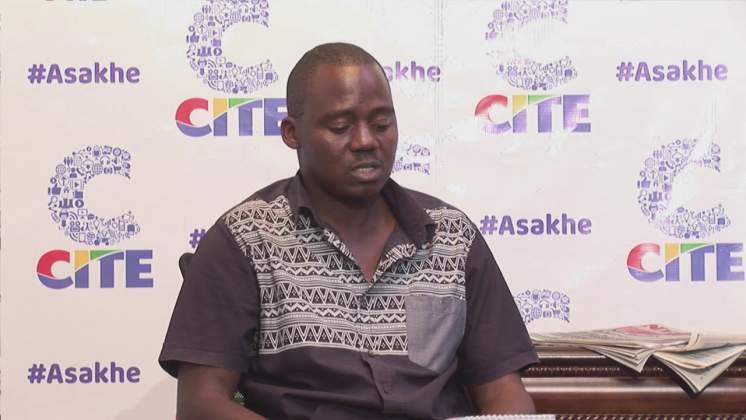 “His arrest at an occasion where President was meeting civil society groups is both ironic and embarrassing”, Magaisa said suggesting that the arrest could have more to do with how Zenzele has made a mark in documenting Gukurahundi atrocities and championing human rights around the issue. Zenzele is well known for his role in trying to bring out justice to the Gukurahundi issue . He has produced a documentary on the post independence massacres that claimed more than 20000 lives.